aGupieWare: Space Station Sunday: Welcome Home, Expedition 40! Space Station Sunday: Welcome Home, Expedition 40! This week, ISS Expedition 40 concluded, with a command transfer occurring on board the ISS before three astronauts were sent back home to Earth. 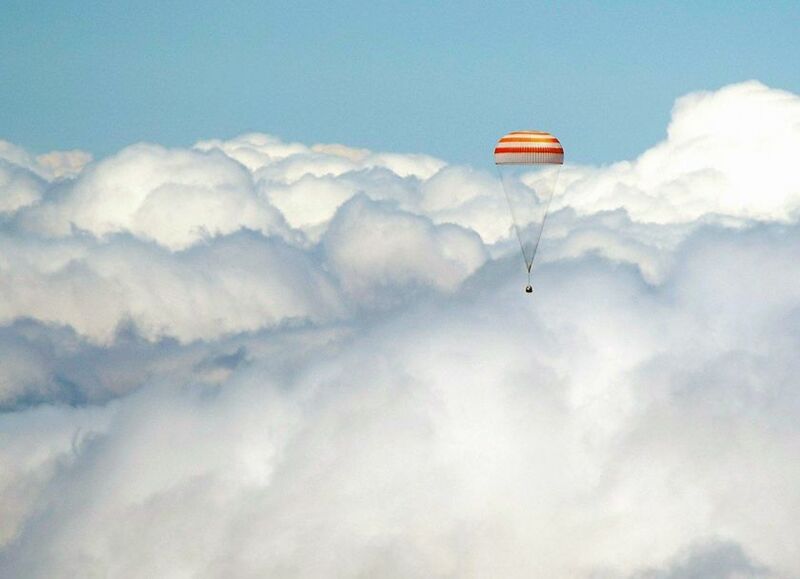 As reported by NASA, NASA astronaut Steve Swanson and Russian cosmonauts Alexander Skvortsov and Oleg Artemyev returned safely on Thursday in a 3.5 hour trip aboard their Soyuz reentry capsule. The Soyuz landed on a steppe in Kazahkstan not far from the Baikonur launch facility, and was recovered by ground teams who immediately assured the safety of all astronauts involved. All aboard were reported to have landed in good health. Swanson, who was flown back to his station in Houston after the Soyuz crew enjoyed a welcoming party, had completed his third ISS mission - the most of any of his fellow ISS Expedition 40 mates. ISS Expedition 41 is now in full swing, helmed by Commander Maxim Surayev of Russia. Remaining aboard the ISS are the two flight engineers who had been working during Expedition 40, NASA astronaut Reid Wiseman and German astronaut Alexander Gerst. They will have the station to themselves for the next two weeks until the arrival of their new co-workers, NASA astronaut Barry "Butch" Wilmore and Russian cosmonauts Elena Serova and Alexander Samokutyaev. Their team is expected to arrive at the Baikonur launch facility later this week in preparation for the upcoming mission. Serova will be the first female cosmonaut that Russia has sent to the ISS. Continuing work aboard the station, Wiseman and Gerst spent time this week on a nutritional analysis program that continues to improve the metrics of what the astronauts need to consume to be maximally functional in micro-gravity. They also trained in the ISS cupola, practicing with the station's robotics so as to be ready for the arrival of the unmanned commercial SpaceX Dragon supply capsule. The Dragon will be affixed to the Harmony node of the ISS with the aid of the Canadian-crafted exterior robotic arm, called the Canadarm. That's all from low Earth orbit for this week. See you next Sunday...watch this space! Expedition 40, cruising and Soyuz-ing their way back home. Image courtesy Roscosmos.